Imagine a Mai Tai and then forget everything you know about it. This take on tiki blends bitters with whiskey and rum, with a tropical hint of banana and citrus. 1.Shake very, very briefly on a few pieces of kold draft. 2. Strain and serve on crushed ice. 3. 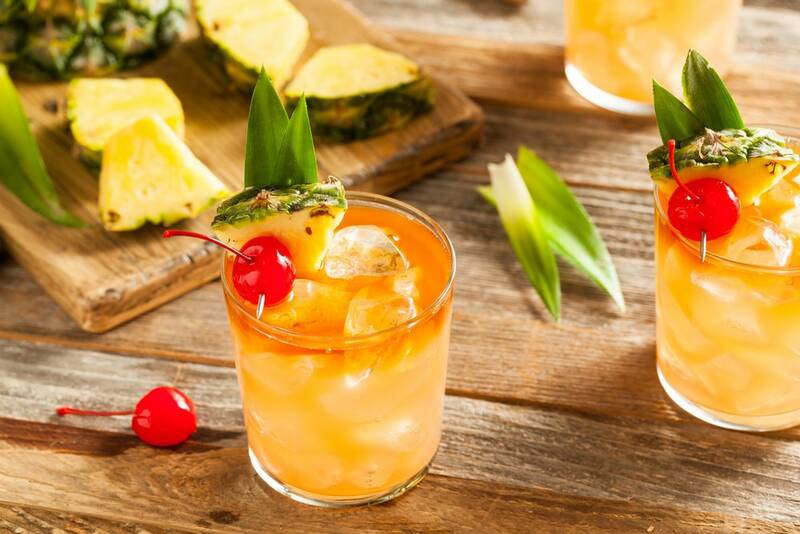 Garnish with a pineapple slice, dashed with banana liqueur.